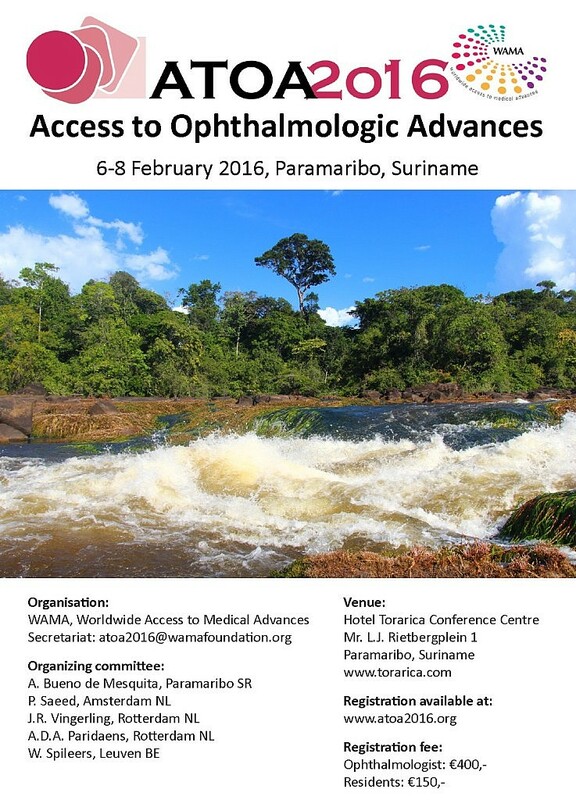 6-8 february 2016, Paramaribo will be the place for Access to Ophthalmologic Advances ATOA2016. Early registration is now possible, please register through atoa2016.paydro.net. To get in touch with the secretariat, send a mail to atoa2016@wamafoundation.org. Please have a look at the meeting program.